Conflict refers to a serious disagreement or argument typically a prolonged one. It is an instinctive disagreement between the objectives of two or more characters or forces. The difference in opinions and disagreement creates conflict. It creates tension and interest in a story by adding doubt as to the outcome. Conflict may be either positive or negative. We spent most of the time with family, friends and in school. Sometimes, our opinion does not match with our friends or family. They don’t agree on our opinion and we don’t like their either. The environment of arrogance arises when the opinions do not match and then the environment of conflict gets created. 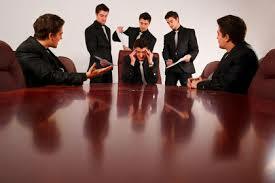 The causes for conflict are a discriminatory behavior, unemployment, variation in opinions etc. Similarly, variation in political opinions, the supply of wrong information, limited resources, etc. can also be taken as the causes of conflict. The practice of recognizing and dealing with disputes in a rational, balanced and effective way is called conflict management. The society plays an important role in conflict management. There are many examples that most of the conflicts are solved by society. The measures for conflict management are recognition of causes of the conflict in society, listening to both opposition parties and also finding out the solutions to their problems and letting the problems be solved from ground level. Among the various causes of conflict, partial information of medias can be one of them. Wrong information, less or wrong understanding creates or increases conflict. In such case, fair conversation between both the parties must be done. This helps to solve the misunderstanding between both the parties. But, the media also helps to manage the conflict. Media helps to clear the misunderstandings between them. It acts as a base to solve the problems. We should also have a proper conversation in order to end the conflict. Conflict is created by individuals, organizations or society in an unexpected way, but we should not let the conflict increase and take the big image instead we should try to find out ways to solve them. Various organizations should be established for the conflict management in the society. Conflict is an instinctive disagreement between the objectives of two or more characters or forces. The practice of recognizing and dealing with disputes in a rational, balanced and effective way is called conflict management. The society plays an important role in conflict management. Various organizations should be established for the conflict management in the society. How we can effectively reduce or even eliminate armed conflict? What are the measures for conflict management? The measures for conflict management are recognition of causes of the conflict in society, listening to both opposition parties and also finding out the solutions to their problems and letting the problems be solved from ground level. The causes for conflict are the discriminatory behavior, unemployment, variation in opinions etc. Similarly, variation in political opinions, the supply of wrong information, limited resources, etc. can also be taken as the causes of conflict. There is a role of medias in both conflict creation and management. Why? Partial information of medias can be one of the causes of conflict creation. Wrong information, less or wrong understanding creates or increases conflict. In such case, fair conversation between both the parties must be done. This helps to solve the misunderstanding between both the parties. But, the media also helps to manage the conflict. Media helps to clear the misunderstandings between them. It acts as a base to solve the problems. A serious disagreement or argument typically a prolonged one is called ______. What is the advantage of peace? Political instability may take place. What is the disadvantage of conflict? A state or period in which there is no war or war has ended is called ______. Why is communication or dialogue between the conflicting groups considered an important tool for conflict management? Any Questions on 'Conflict management '?